Instagram is more than just a fun app – it’s tied with Snapchat as the top photo sharing social media channel. Businesses and brands have taken the app and turned it into a fantastic way to interact with customers. 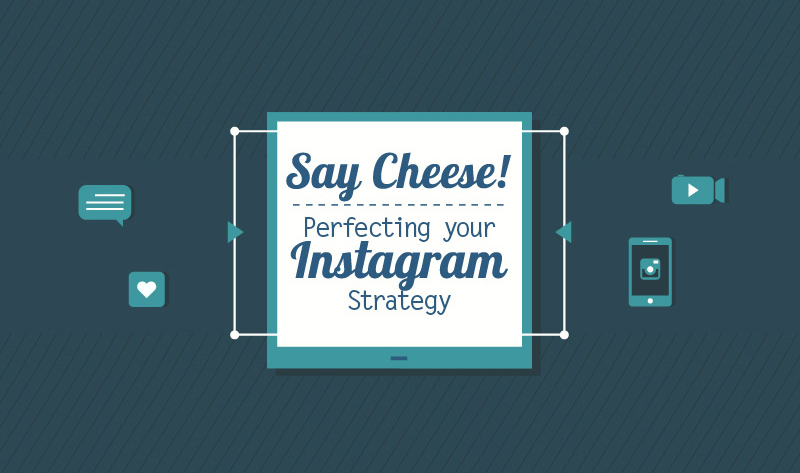 Salesforce Canada has created an infographic entitled “Say Cheese: Perfecting Your Instagram Strategy”, offering tips to maximizing your Instagram impact. While there’s no formula to come up with the perfect posting strategy, there are tips and tricks to adopt in order to make Instagram successful for your brand or business. From photo tips to hashtags, this infographic has it all. It also includes tips on what to avoid on Instagram, such as overposting, ignoring followers and failing to finish filling out your profile. Start perfecting your Instagram strategy with these helpful tips. Optimize the brand value of your profile by making the brand clear and identifiable. Link to your company website on your account page. Not all posts have to feature your brand's product, but the logo should be present. The more photos you post, the more opportunity to grow your reach, but it;s important to find a nice balance between over-saturation and falling to the wayside. Generate a flexible posting schedule to stay consistent. Use Instagram photos to give followers a sneak preview of an upcoming product or event. Write clear and engaging descriptions that reflect and enforce your brand's message. You may include Blog URLs in descriptions, though users will have to copy and paste the link into a browser in order to access it. Contribute to trending or industry-specific hashtags so users who follow those tags will see your own photos. Host photo contests with hashtags. Increase reach to contests by using Facebook status updates to encourage followers to enter. Increase engagement by instructing followers to include a branded hashtag in their photos of your product. Use image analytics to identify images and video that resonate with followers and fans. Track engagement on images to see what followers like best in terms of content, filters, styles, etc. Posting irrelevant and low quality photos: Stick to posting photos that relate to your product or service. Overposting: There's no set formula for how often to post. But too much updates can alienate a brand from its followers. Ignoring followers: Interacting with followers helps the account grow. Follow loyal followers and reply to their comments.